In a recent case before a federal judge in the Northern District of New York, an insured claimed that its insurer breached its contract for coverage under its general liability policy by failing to cover injuries received from a release of chlorine gas. The court ruled in favor of the insurer, finding that the insured’s claim was not covered under an exclusion for pollution. The case in question is Ben Weitsman & Son of Scranton LLC v. Hartford Fire Insurance Co. In the underlying injury lawsuit, referred to as the Houser lawsuit, several Scranton residents claimed that they were injured by a cloud of chlorine gas released by the scrap metal facility. Specifically, two women operating a Christmas tree lot next door to the scrap metal facility claimed that they saw a cloud of gas moving towards them and attempted to run away, but were unable to escape the gas. Another group of women were merely driving by the site and inhaled chlorine gas from the cloud that had escaped the facility. The Houser plaintiffs all suffered respiratory injuries, throat and eye irritation, and other injuries as a result of inhaling the gas. 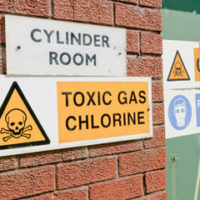 The Houser plaintiffs filed a lawsuit against Ben Weitsman & Son of Scranton, as well as the related entity Ben Weitsman & Son, for their injuries, claiming that the operators negligently allowed chlorine gas to escape from a container stored on their site. Ben Weitsman & Son of Scranton filed a claim with Hartford in February of 2012, seeking coverage for the Houser lawsuit. Hartford denied coverage in a letter sent in May of 2012, explaining that the claim was barred under the absolute pollution exclusion in their policy. In 2016, Ben Weitsman & Son of Scranton filed a lawsuit against Hartford for breach of contract, based on its failure to provide coverage in the Houser lawsuit. The plaintiffs argued, in part, that the injuries to the Houser plaintiffs were not caused by environmental pollution, making the absolute pollution exclusion inapplicable in this case, and that the exclusion was ambiguous. Hartford filed a motion to dismiss the plaintiffs’ claims, arguing that the exclusion clearly and unmistakably applied to the injuries suffered by the Houser plaintiffs. Ultimately, the judge sided with the defendants and dismissed the breach of contract lawsuit. The judge ruled that chlorine was a chemical, or at the very least an “irritant,” which would qualify as a pollutant under the plaintiffs’ policy, and that the injuries alleged in the Houser lawsuit were “clearly exclude[d] from coverage” by the plaintiffs’ policies with Hartford. 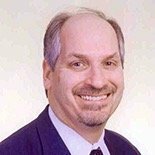 If you’re in need of skilled, experienced, and effective New York insurance coverage, defense or toxic tort attorney, contact the Law Offices of Richard A. Fogel, P.C. for a consultation on your case at 516-721-7161.